The University of Scranton’s Edward R. Leahy Jr. Center Clinic for the Uninsured received a $20,000 grant from the CVS Health Foundation to support a diabetes education program tailored to Hispanic patients and meant to promote prevention, self-care skills, healthy eating habits and routine physical activity. The Panuska College of Professional Studies, which houses the clinic at the University, is the 10th anniversary of the Leahy Clinic. The Edward R. Leahy Jr. Center Clinic for the Uninsured at The University of Scranton was among only 49 recipients in the nation, and one of just three in Pennsylvania, to be awarded a grant from the CVS Health Foundation, a private charitable organization created by CVS Health, in support of the National Association of Free and Charitable Clinics (NAFC). According to the CVS Health Foundation, grants funded this year focus on improving health outcomes for patients managing chronic conditions such as diabetes and hypertension. This year’s funding, which bring the Foundation’s total contribution to NAFC to more than $4.5 million since 2015, will support increased access to quality care, as well as chronic disease management and prevention services. Grants, ranging from $10,000 to $20,000, were awarded to free and charitable clinics in Arizona, California, Connecticut, Florida, Georgia, Illinois, Indiana, Kentucky, Maryland, Maine, Michigan, Missouri, Mississippi, North Carolina, New Jersey, New York, Ohio, Pennsylvania, South Carolina, Tennessee, Texas, Virginia, Wisconsin and West Virginia. The University’s Leahy Clinic received a $20,000 grant to support a diabetes education program tailored to Hispanic patients and meant to promote prevention, self-care skills, healthy eating habits and routine physical activity. The Panuska College of Professional Studies, which houses the clinic at the University, is celebrating the 10th anniversary of the Leahy Clinic this year. Dedicated Feb. 19, 2008, the clinic was first established to provide non-emergency health care to uninsured Lackawanna county residents. 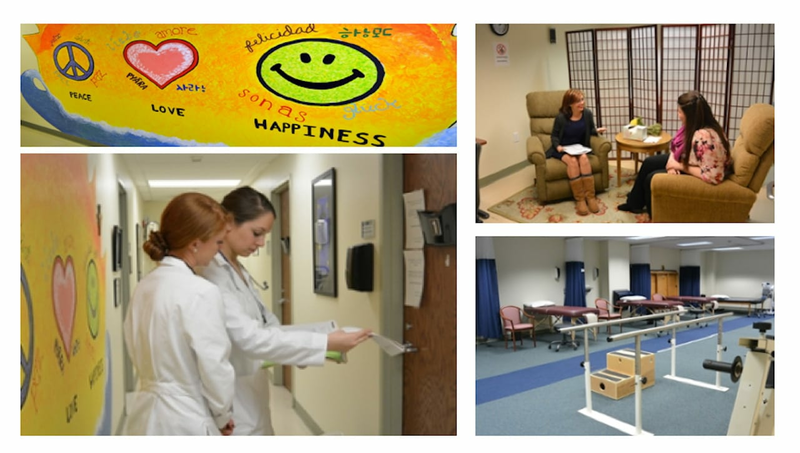 The clinic has since expanded services through the innovative use of undergraduate and graduate student volunteers, staff and faculty members, as well as other University resources, to include low vision therapy, physical therapy and counseling services. Since its opening, a total of 6,000 patients generated 13,617 visits through the Leahy Clinic. The Leahy Clinic has been a member of the National Association of Free and Charitable Clinics since 2009. The CVS Health Foundation is a private charitable organization created by CVS Health that works to build healthier communities, enabling people of all ages to lead healthy, productive lives. The Foundation provides strategic investments to nonprofit partners throughout the U.S. who help increase community- based access to health care for underserved populations, create innovative approaches to chronic disease management and provide tobacco cessation and youth prevention programming. We also invest in scholarship programs that open the pathways to careers in pharmacy to support the academic aspirations of the best and brightest talent in the industry. Our philanthropy also extends to supporting our colleagues' spirit of volunteerism through Volunteer Challenge grants to nonprofits where they donate their time and fundraising efforts. To learn more about the CVS Health Foundation and its giving, visit www.cvshealth.com/social-responsibility. For more information about the NAFC, please visit www.nafcclinics.org.